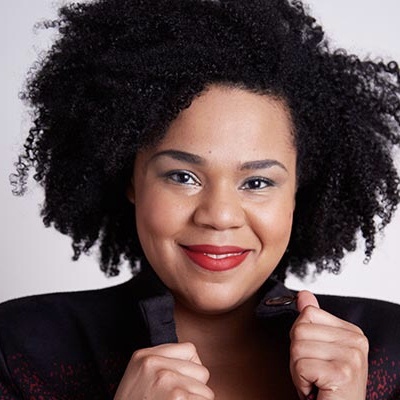 Desiree exploded onto the UK comedy scene in 2015, winning Funny Women Stage Award. Since then, she has appeared on, Live at the Apollo (BBC), The Mash Report, Mock the Week, Frankie Boyle’s New World Order (BBC2), Live from the BBC (BBC3), Have I Got News For You, Qi(BBC), 8 Out of 10 Cats (Channel 4), and co-hosted Officially Amazing (CBBC). She’s been heard on The News Quiz (BBCR4), The Now Show(BBCR4), It’s Not What You Know (BBCR4) and on podcasts such as Welcome to Night Vale, The Guilty Feminist, The Adam Buxton Podcast, The Richard Herring Leicester Square Theatre Podcast, Made of Human, and Dumb White Guy. She can be seen in Spring 2019 on her Comedy Central special Desiree Burch Live and on the new Netflix series Flinch.